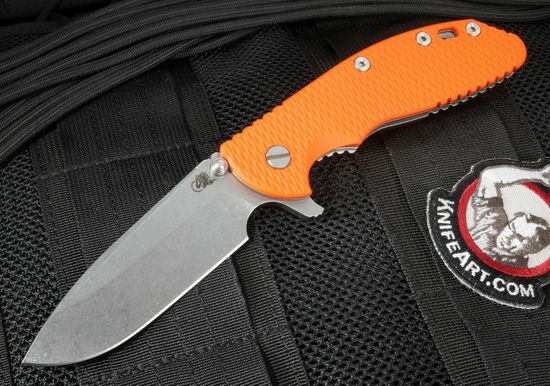 The most extreme military missions and first responder situations call for an extreme knife. The Rick Hinderer Gen 4 Model XM-24 4" Spearpoint Blade folding knife is the biggest in the XM series and is purpose built for tactical use. 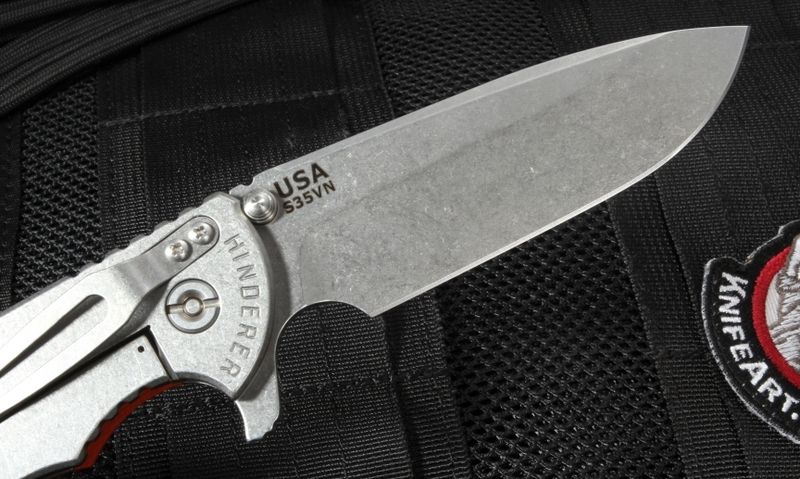 Rick Hinderer's American-made XM folders are born of his experience as an EMT, firefighter and rescue diver. The XM-24 hard-use tactical knife incorporates this personal knowledge with precision manufacturing for a good-looking and practical tool. Get a firm grip on your XM-24 Spearpoint with a handle that's made of stonewashed titanium and plated with textured G-10. 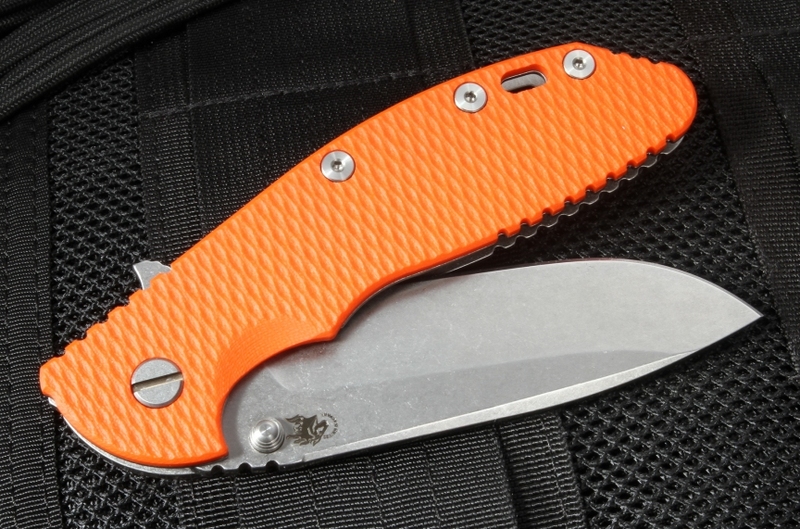 The scales have an orange color that's useful for first responders who need their knife to be visible. The jimping on the thumb rest of the handle and blade spine further improves grip and comfort. 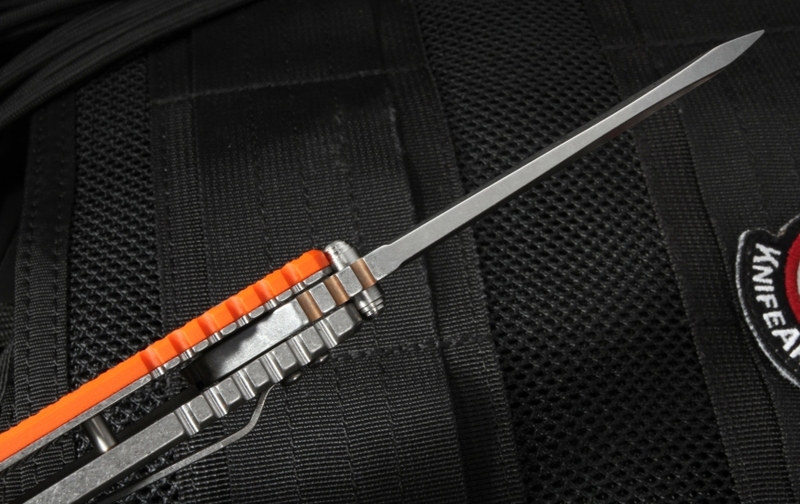 It has dual thumb studs as well as a flipper to smoothly open, close and operate the knife with either the right or left hand. In the open position, the flipper serves as a protective index finger guard. The Hinderer XM-24 has a solid frame lock design with a Hinderer lock bar stabilizer that won't overload the springs. Add a lanyard using the large lanyard hole in the handle. The XM-24 tactical folding knife from Rick Hinderer is a great heavy-use knife that deserves its reputation as the no-nonsense king of tactical flippers. KnifeArt.com has fast free shipping on this and many other knives in the Hinderer XM series. We'll fulfill your order the same business day with a limited lifetime warranty from Rick Hinderer Knives.